You deserve only the best, so why settle for conventional mouthwash formulas filled with artificial chemical ingredients? Introducing Health Ranger Select Colloidal Silver Mouthwash, the toxin-free, herb-based solution from a name you can trust. 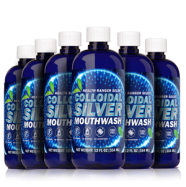 Health Ranger Select Colloidal Silver Mouthwash supports optimal oral health by relying on clean, natural bacteria-fighting ingredients like colloidal silver, tea tree oil, peppermint oil, Sangre de Drago (the sap of Peru's dragon tree), menthol crystals, and black walnut hulls. Just a swish gives you minty fresh breath and a sparkling clean feeling. Plus, every use helps support optimal oral health. Our clean and all-natural mouthwash is thoroughly lab-tested for glyphosate, heavy metals and microbiology. What's wrong with ordinary mouthwash? 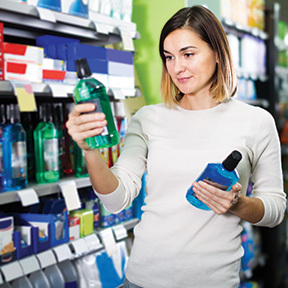 Most of the mouthwash products found on drugstore shelves contain loads of questionable ingredients that can be very harsh on your gums and teeth -- and can be incredibly harmful if ingested or absorbed into the bloodstream. 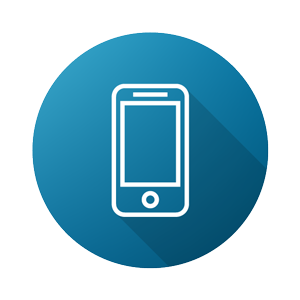 If you read the labels on traditional mouthwash products, you'll find harsh ingredients like chlorhexidine, alcohol, hexetidine, methyl salicylate, benzalkonium chloride, cetylpyridinium chloride, and methylparaben. 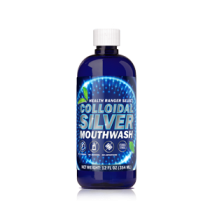 Health Ranger Select Colloidal Silver Mouthwash contains absolutely none of those harmful chemicals and preservatives. Instead, we've collected functional ingredients from all over the world to create the optimal all-natural formula that freshens your breath and supports spectacular oral health every time you use it. 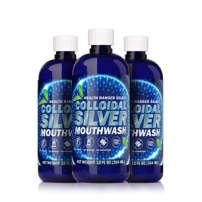 What makes our Colloidal Silver Mouthwash Extraordinary? 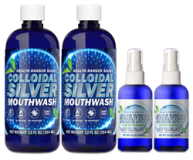 Colloidal silver is one of the most effective, easy-to-use substances available today to improve oral health naturally. The ancient Greeks and Romans recognized its efficacy as both a cleanser and a preservative, so they used it in many of their traditional medicines. Today, we know that colloidal silver possesses protective properties that can have beneficial effects on your teeth and gums. Coenzyme Q10, or CoQ10 for short, is a vitamin-like compound that supports the natural healing and repair of your teeth and gums. This potent combination is where our mouthwash gets its fresh, minty taste. The naturally refreshing and cooling sensation goes hand-in-hand with natural properties that fight bad breath. Even a single swish ensures you have the confidence that comes from fresh breath. These ingredients can even help relieve minor swelling and irritation. Black walnut hulls have long been recognized as incredibly effective at supporting naturally vibrant, healthy skin -- and it's just as great for your gums. Sangre de Drago is the sap extracted from Peru's dragon tree. It's carefully sourced by native Amazonian communities as part of an effort to reduce deforestation and promote sustainable development in the area. This sap also boasts incomparable purity and efficacy. For years, natives used Sangre de Drago as a gentle, natural cleanser. 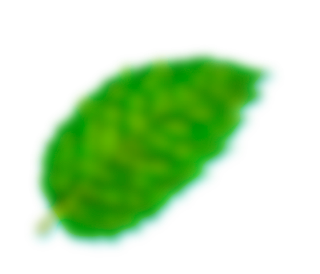 It is a rich source of protective antioxidant phenols. 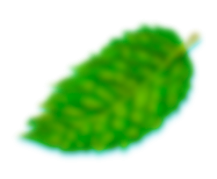 It also contains taspine and proanthocyanidins, both of which are very potent healing agents. Tea tree oil is a highly versatile essential oil with a multitude of uses, such as being an excellent choice for mouthwash. 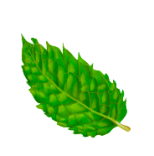 Tea tree oil naturally cleanses and soothes gums, assisting your body's natural healing processes. More than that, it does all of this without harming human tissues, like hydrogen peroxide and iodine – found in mainstream mouthwashes – do. 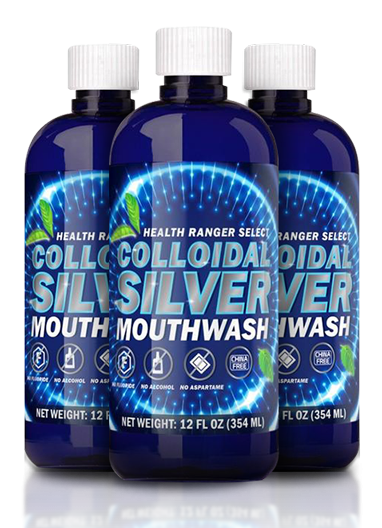 Health Ranger Select Colloidal Silver Mouthwash stands out for a reason. We don't use any synthetic flavors, preservatives, or chemicals in our mouthwash. Every ingredient is completely non-GMO. We also don't source any ingredients from China. Instead, every ingredient is sustainably sourced from trusted providers who follow only the highest standards of quality. We also lab-test every lot for glyphosate, heavy metals, and microbiology before it ships to you, so you can be confident that your mouthwash is absolutely clean and pure. *** Free Shipping within the Contiguous U.S. (48 states) on orders over $79.